Note：We reserve the right to modify the design and specifications without notice in advance. FOUR BOX WAY DESIGN, RAPID SPEED MAX UP TO 24M/MIN. WIDER SLECTION CNC CONTROLLERS: HEIDENHAIN / FANUC / SIEMENS / MITSUBISHI. 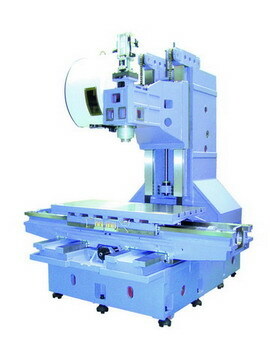 ＊More 20 percent of weight (total weight 8.2 tons) than other similar machining centers. 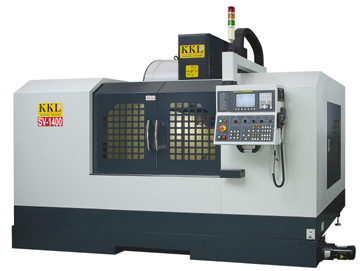 ＊30 percent of rigidity in the casting of machining center has been enhanced. 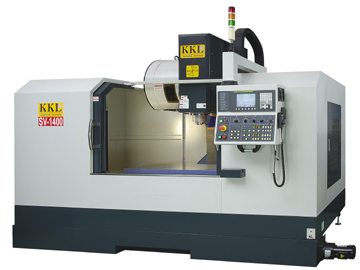 ＊Adopting German Standard VDI 3441 & Euroscale Machine Frame. ＊Saddle structure passes through 4 axes. ＊Super Four hard Boxways and A-shape box Base. ＊Column is constructed in the form of 米-shape to achieve strong rib.